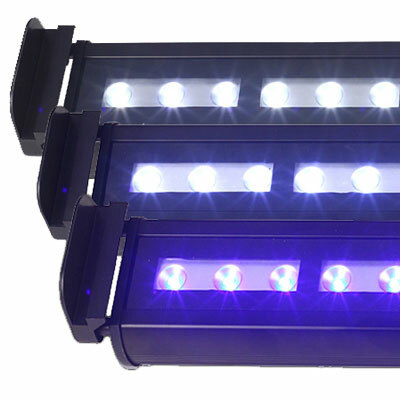 Innovative Marine has snuck a new product under our radar with their Single Strip Skkye Light. We’re not exactly sure when this product emerged on the LED lighting market, but we figured since we haven’t covered it there’s not better time than the present. As the name suggests, the Single Strip is based off of Innovative Marine’s flagship Skkye Light products, but offers up these same LEDs in a whole new fixture. 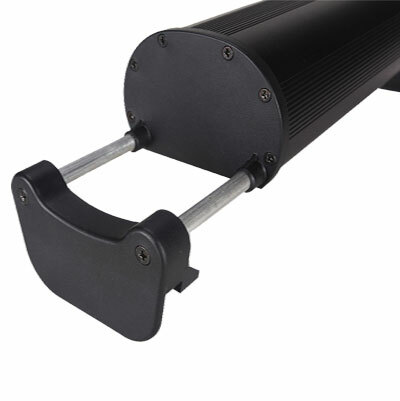 Instead of mounting the light onto the end of an arm, the skinny little strip of diodes is mounted into a longer fixture with a tank mount similar to more traditional light fixtures. The Single Strip is housed in a sleek aluminum case that also contains the integrated drivers and an acrylic lens. 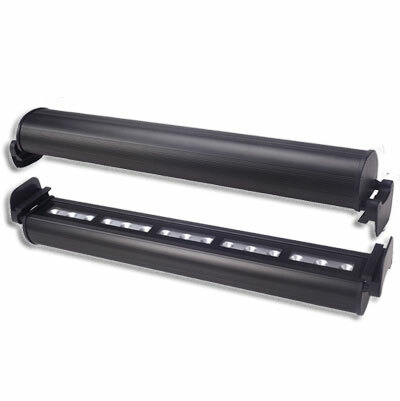 The mounting legs are also built right in, and they are basically a pair of sliding extension rods that terminate into a small bracket that mounts directly to the aquarium. In terms of color and performance, the high brightness LEDs emit 120 lumens per watt with the provided individual reflectors and 120 degree optics. The colors offered include 10000K white, 14000K white/blue, and 456nm blue. To help the Single Strip lights target a broad array of aquaria, Innovative Marine is offering them in 12”, 18”, 24”, 36”, and 48” sizes. 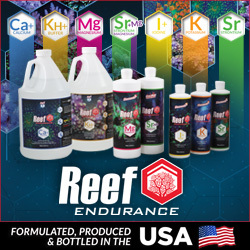 The Single Strips are currently available to purchase from various retailers in the Innovative Marine network.